Recently, natural stone has become a really important building material, used for designing and constructing houses, apartments and villas all over the world. Stone facings as well as different kinds of stone furniture are now in vogue, since they are able to style and decorate every room of the house. The wide range of natural stone types, colours and finishes makes it a versatile and customizable building material, whose homogeneity and quality are perfectly recommendable for inner and outer spaces. Terraces and verandas. As we mentioned before, natural stone is a material that can be used in both, inner and outer areas. The combination of natural stone and wood, for instance, will definitely create a warm and elegant atmosphere, thanks to the sharp contrast of colours and finishes. 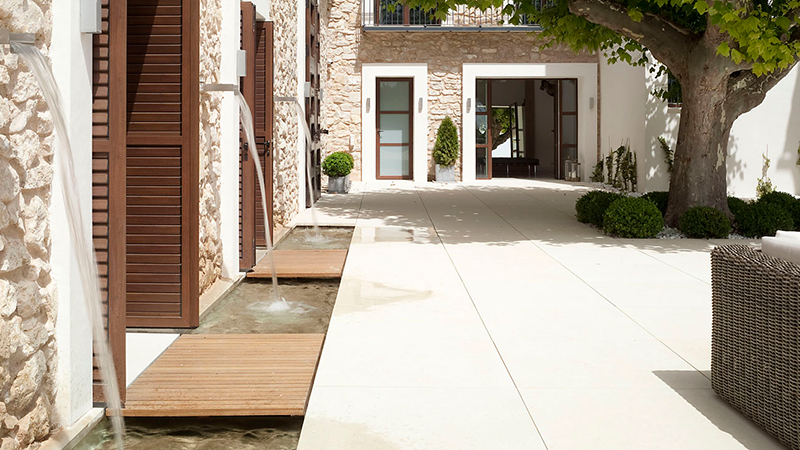 Bateig natural stone flooring for outdoor spaces. Open spaces. Nowadays, open concept designs are at its peak in the architecture field. It mainly consists on replacing the traditional doors with arches, keeping the original walls. 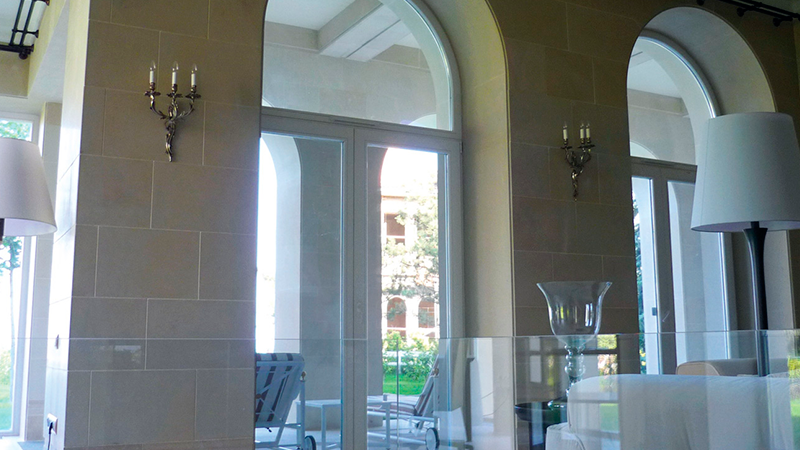 In this case, using natural stone walls ensures a modern, airy and spacy home. Bateig natural stone walls for open concept designs. Offices and studies. Workstations are normally destined to work and, consequently, this kind of spaces needs to create a peaceful and calm atmosphere. 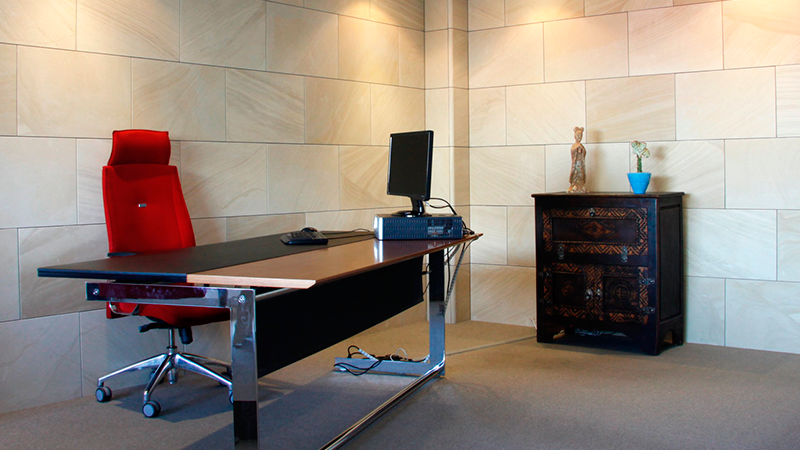 In this context, natural stone can be used for walls, floors and even for professional desks. The results will be astonishing, since each piece of stone has a unique and exceptional look. Office with Bateig natural stone walls. Baths and furniture. Natural stone as a building material can also be found in other rooms of the house. 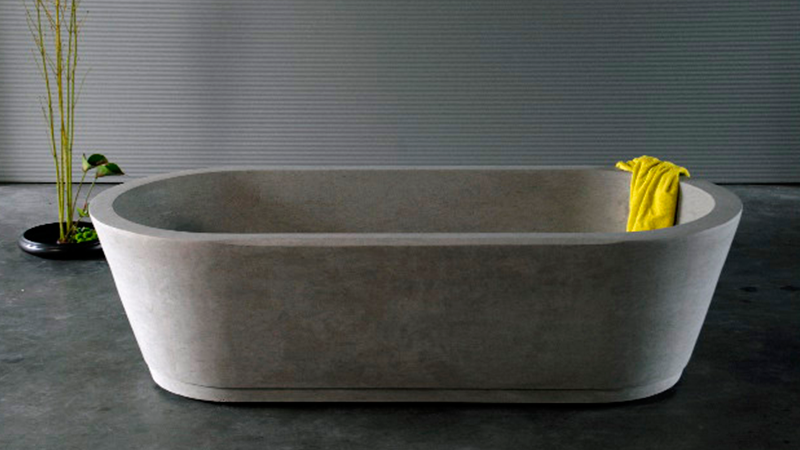 Bathrooms, for example, also offer a wide range of possibilities, as it can harbour natural stone sinks, bathtubs and customized shelves or furniture. Integrating natural stone into your bathroom design will definitely make a difference. Decorative elements. 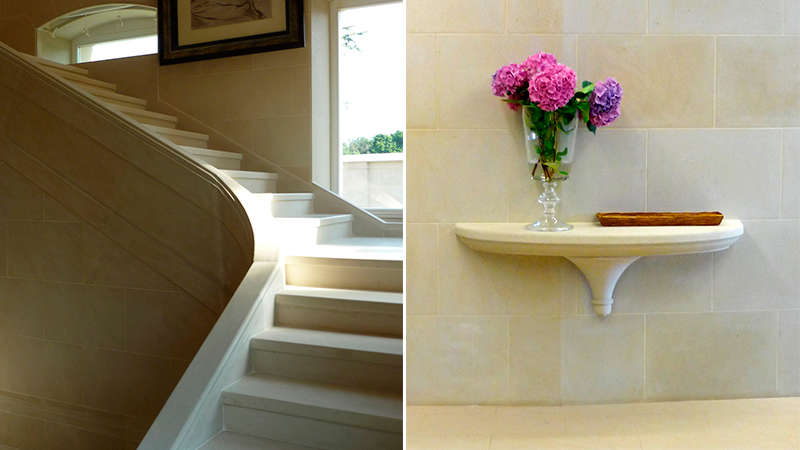 From staircases or handrails to reach the upper storeys of your home, to shelves or statues to decorate spaces, natural stone adapts perfectly to every kind of need. Besides, it can also be combined with other materials such as glass or steel, generating a long-lasting original decoration. Staircase and wall shelf built in Bateig natural stone. 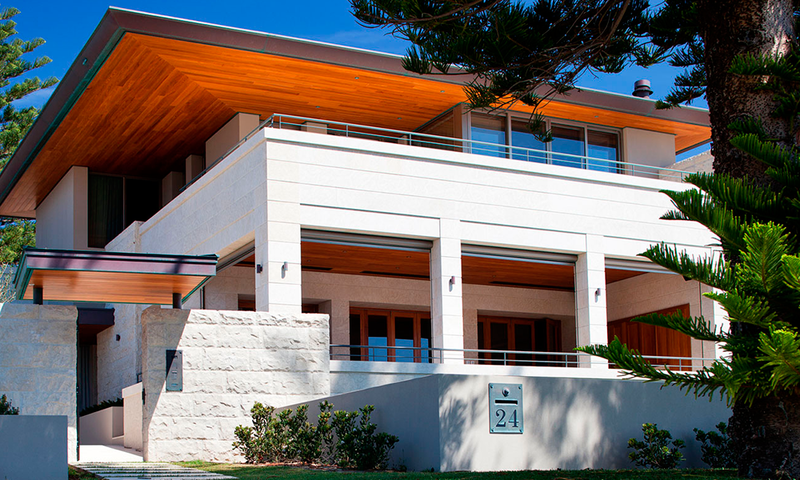 In a nutshell, it is patently obvious that the possibilities of natural stone as a building material are limitless. As we have seen, it can be used in all sorts of contexts and it always guarantees elegant and high-quality finishes.